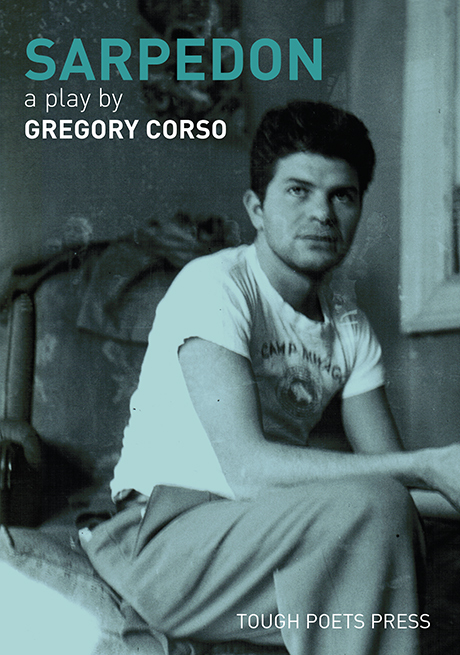 Prior to the publication of his first collection of poetry, The Vestal Lady on Brattle and Other Poems (1955), Beat poet Gregory Corso wrote three plays while living as a “stowaway” on the campus of Harvard University. The first of these plays, written in 1954, was Sarpedon, which Corso described as “... an attempt to replicate Euripides, though the whole shot be an original.” Despite the ancient subject matter, his verse is infused with the street slang and Beat vernacular of the time in which it was written, and portends the irreverent humor that would become a hallmark of much of his later work. The play comprises 17 pages of this volume. It is supplemented with a two-page introduction by Corso himself, taken from a transcript of his prefatory remarks at his 1978 reading of Sarpedon at the Naropa Institute in Boulder, Colorado. Also included are an editor’s introduction which provides information about the plays Corso wrote while at Harvard and describes the circumstances surrounding his brief residence in Cambridge, Massachusetts. The volume is footnoted as well.